Venezuela is at a crossroads between capitalism and socialism. The presidential elections on 7 October 2012 will be decisive in determining the future, not just for Venezuela, but for the entire continent. The Bolivarian Revolution, which has affected the whole of Latin America, emerged in response to the devastation wreaked by neo-liberalism throughout since the 1980s, when the number of people living in poverty increased from 136 million to 200 million (48.3%). By the 1990s, despite immense oil wealth, 70% of Venezuela’s population of 27 million faced poverty, exploitation and repression, while a small elite, along with western banks and corporations, pilfered the wealth of the nation. Just one fifth of Venezuelans had access to primary health care. The average infant mortality rate was 19 per 1,000 live births. Health care was a privilege, not a right. 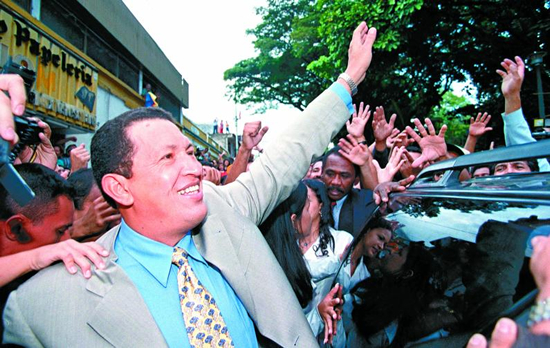 Hugo Chavez was elected president in 1998 and in 2002, following a political struggle to wrest control of Venezuela’s huge oil reserves, the Bolivarian Revolution was able to channel profits from oil into social priorities. By 2011, the percentage of people living in extreme poverty had dropped (from 20% in 1999) to 7.3%. 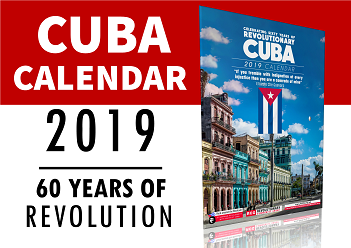 In an agreement between Venezuela and socialist Cuba, in return for subsidised oil Cuba sent thousands of educators and medical personnel to create a free health care and education system in Venezuela. This prioritised the needs of the poorest and hardest to reach communities and provided training for Venezuelan students to become the next generation of doctors and teachers. 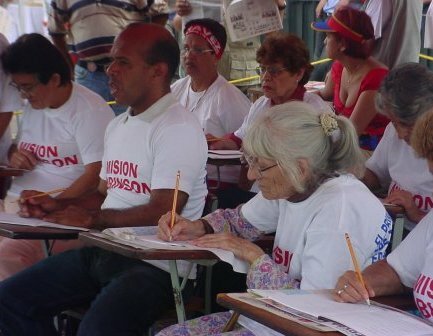 The free literacy programme Mission Robinson has supported over 1.5 million people, leading the UN to declare Venezuela an illiteracy free zone in 2005. With the free night school programme Mission Ribas, 630,000 Venezuelans have completed qualifications enabling them to attend higher education. Before the Bolivarian Revolution there were only 400,000 university students and higher education was the domain of the elite. The 1999 Constitution of the Bolivarian Republic of Venezuela granted a universal right to higher education. The Bolivarian University of Venezuela now has university sites in nine different states, in addition to 190 projects across the country. University attendance has almost tripled reaching over 1.8 million students. These achievements are not just the result of a benevolent government; oil wealth isn’t just used for handouts. The process being built in Venezuela depends on participatory, grass roots democracy through a network of communal councils, made up of around hundreds of families organised to identify and address the needs of their own community. Groups of communal councils then can work together forming "Comunas" enabling them to organise on a larger scale. There are approximately 30,179 communal councils in Venezuela with an estimated 5,000 more in the process of formation. These councils are given funds to take on responsibility for resolving local issues such as organising street lighting, water pipes, food distribution, rubbish collection or bus services. 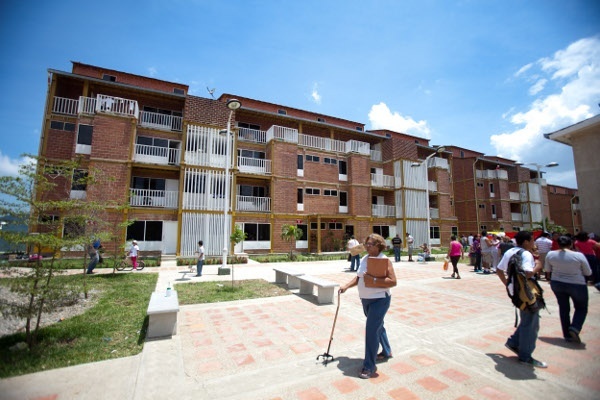 The councils are also playing a key role in Venezuela’s Great Housing Mission – which has constructed nearly 96,000 housing units in its first seven months and aims to build nearly three million homes over the next seven years to resolve Venezuela’s long-term housing shortage. Popular power is the backbone of this process as Venezuelans are empowered to work collectively and take control of their communities to meet their needs. The relationship between Venezuela and Cuba has flourished, supporting progressive movements across the continent. 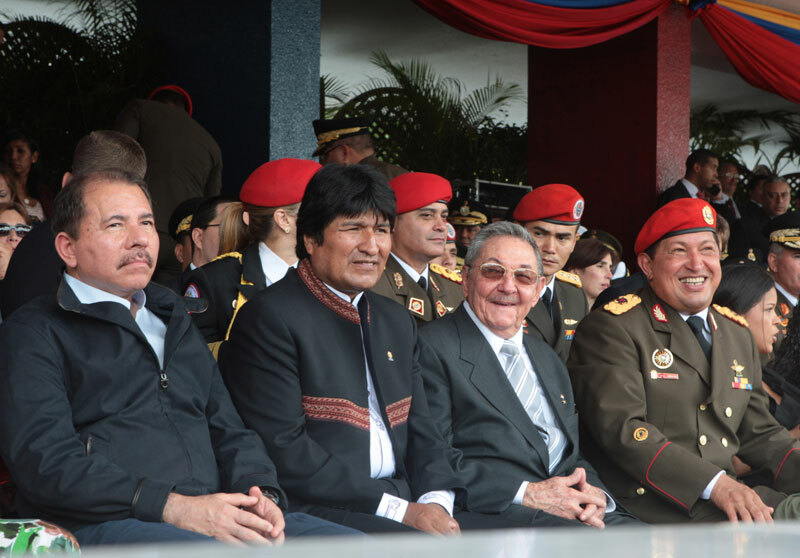 In 2004 Venezuela and Cuba set up the Bolivarian Alliance for the Americas (ALBA), which was quickly joined by Bolivia, Nicaragua, Dominica, Honduras, Ecuador, Antigua & Barbuda and St Vincent & the Grenadines. ALBA is a political, economic and social alliance, based on cooperation, solidarity, social justice and sustainable development. It has set up a network of free health care projects and wiped out illiteracy in four countries. Created as an alternative to the neo-liberal Free Trade Area of the Americas, ALBA now has its own bank and has developed the Sucre, its own virtual currency, undermining reliance on the dollar and freeing countries from dependence on the IMF and World Bank. The 2012 presidential elections are essential for this progress to continue. 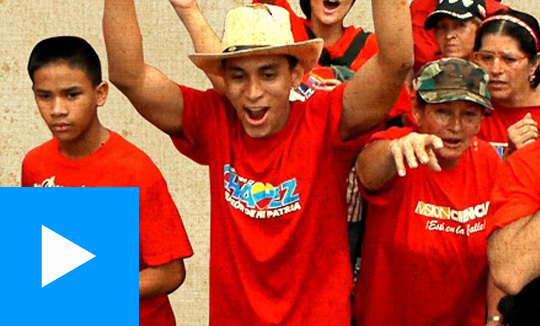 If Chavez loses to Henrique Capriles Radonski, the opposition candidate of the MUD coalition, it will herald a return to pre-1998 conditions of poverty and privatisation in which Venezuela was dominated by an economic elite and US oil interests. The Venezuelan opposition is backed by $20 million US funding from organisations such as USAID and the National Endowment for Democracy, and has had mass coverage in both Venezuela’s private press and the western mainstream media. Capriles’ international backers include US Republican presidential candidate Mitt Romney, former Colombian president Alvaro Uribe, German Chancellor Merkel and Israeli Prime Minister Netanyahu. 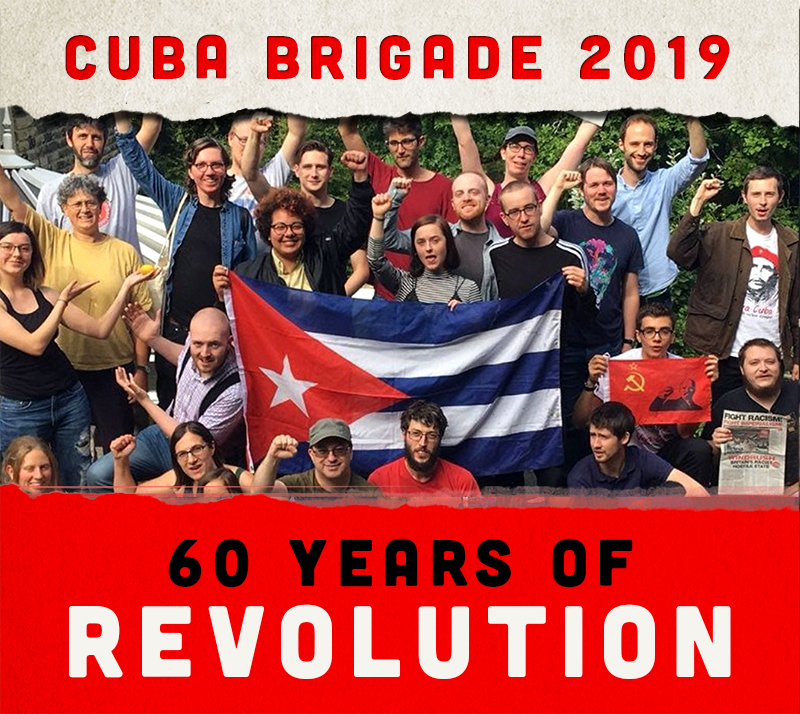 As the capitalist crisis bites in Britain, spreading war, poverty, austerity and despair worldwide, we need to look to the example of Venezuela, Cuba and ALBA. 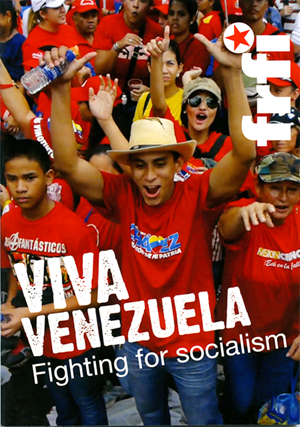 The process of building socialism in Venezuela is complex and fraught with challenges, yet for us in Britain, the achievements of socialist Cuba and the developments in Venezuela show that socialism is a viable alternative to capitalism. A socialist society is one organised in the interests of the majority, where production and investment are planned. Socialism is not a utopia and it is not achievable overnight; rather it is a process dependent on the class struggle to take control of the economy and the state, in order to build a society geared to meeting people’s and promoting social development. Not only is another world is possible, but one is here, today being built in Latin America.